In a previous post about the Sophos UTM, I’ve received some comments about Xbox Live. I’ve recently rebuilt my Sophos UTM and found that my backup configuration files were encrypted with a password I couldn’t locate… my bad. So I’m rebuilding all of my firewall rules again. For the Xbox 360 Live and Kinect, there are some quirks that I hope these steps help you overcome. Setup a DHCP reservation for your Xbox so that your UTM will create a network definition and the IP will remain the same. 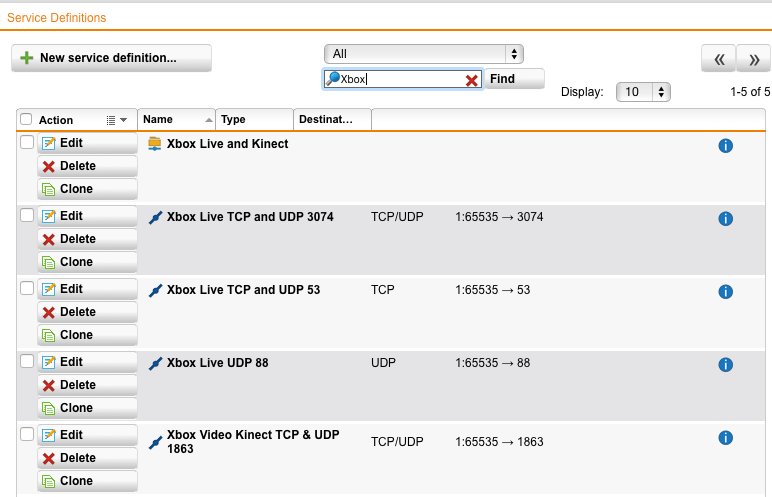 In my UTM, I’ve named them Xbox Live UDP 88, Xbox Live TCP & UDP 3074, etc. This helps keep your definitions clean and searchable. 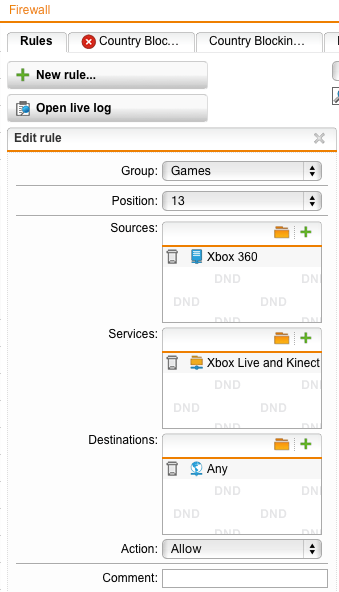 Create a definition group and call it Xbox Live and Kinect (or whatever helps you keep organized). Save and don’t forget to turn on your Xbox 360 firewall rule before testing. Here are some screen captures that may help show you what these all mean. This entry was posted in Security, Software, Sophos UTM. Bookmark the permalink.